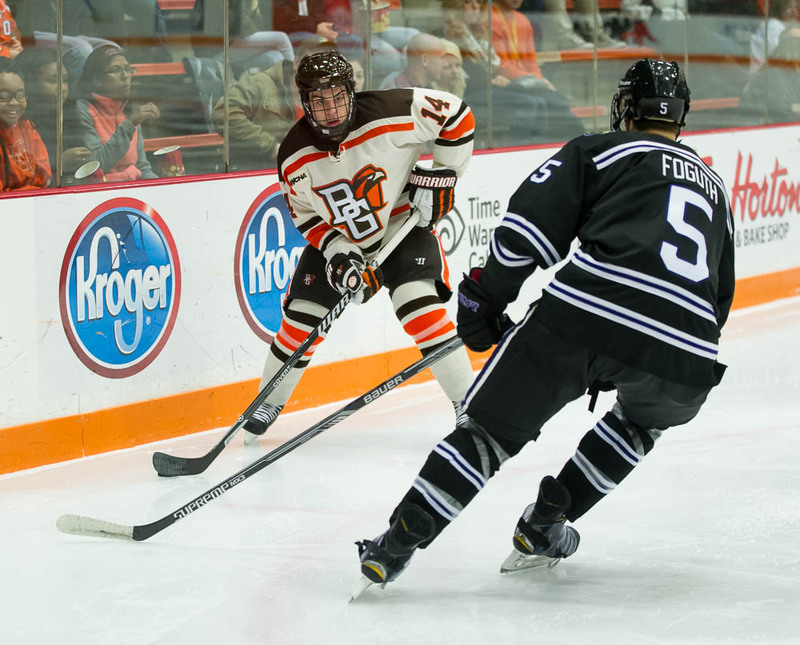 To read Kevin Gordon’s notebook about this game click here. 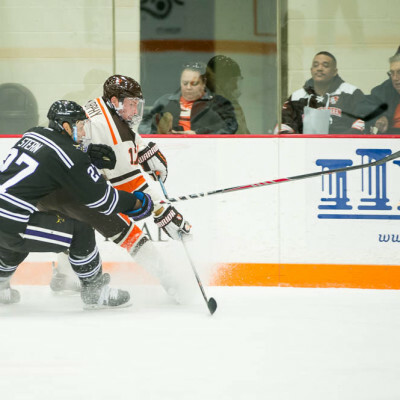 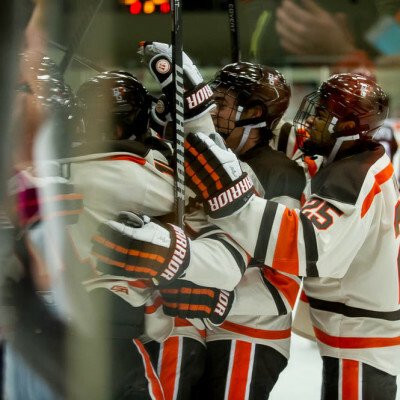 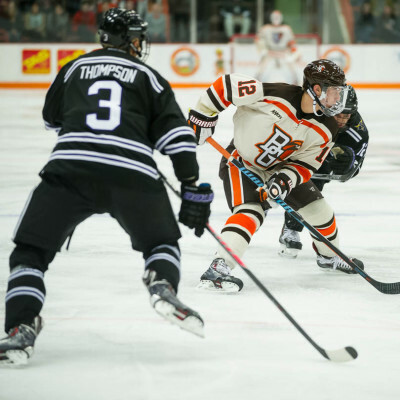 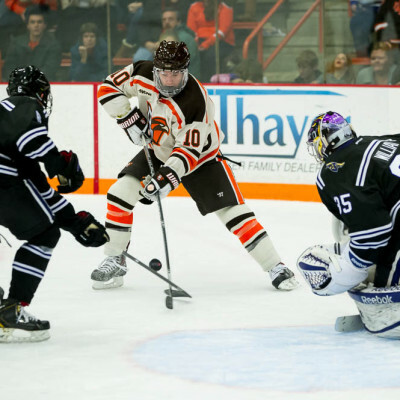 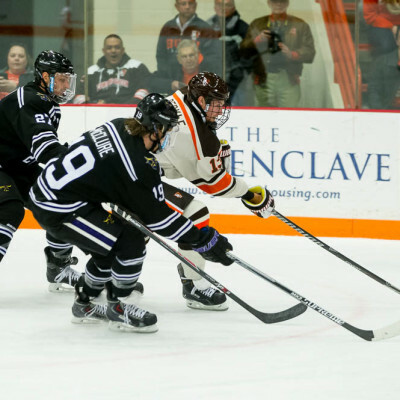 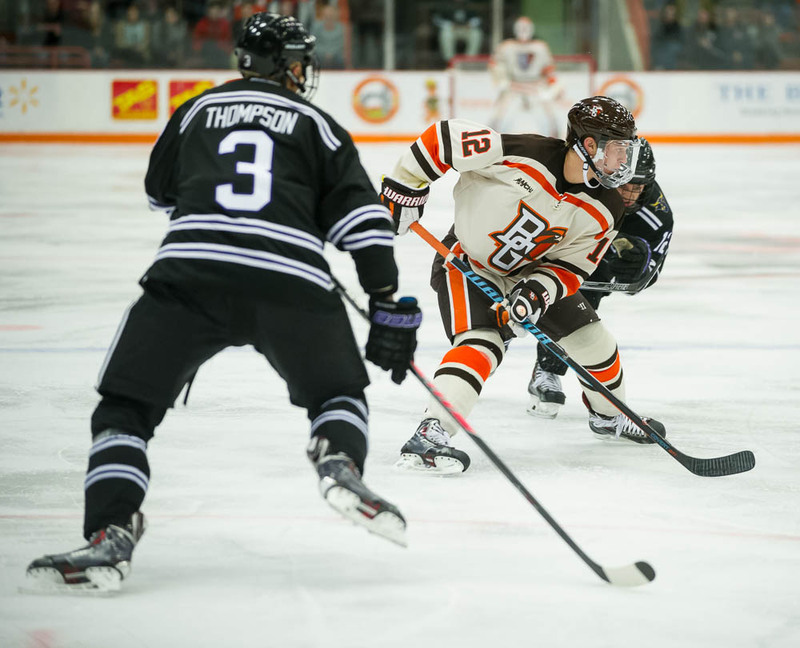 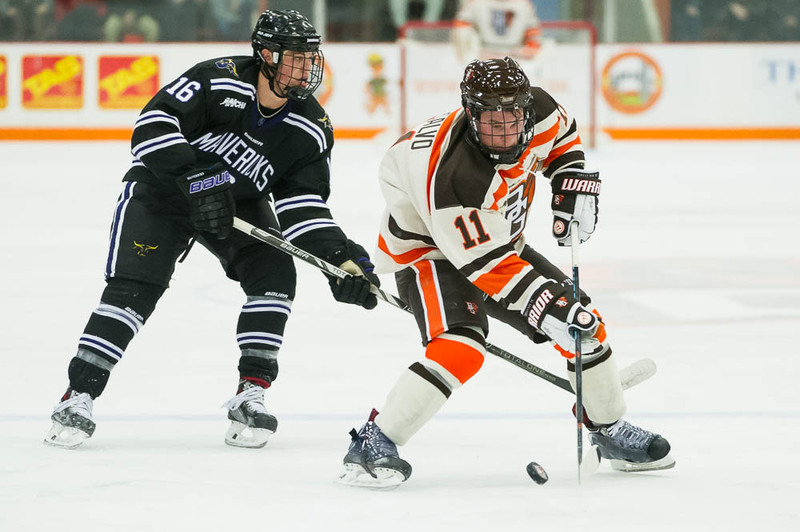 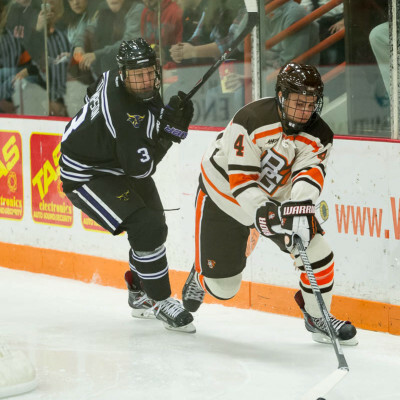 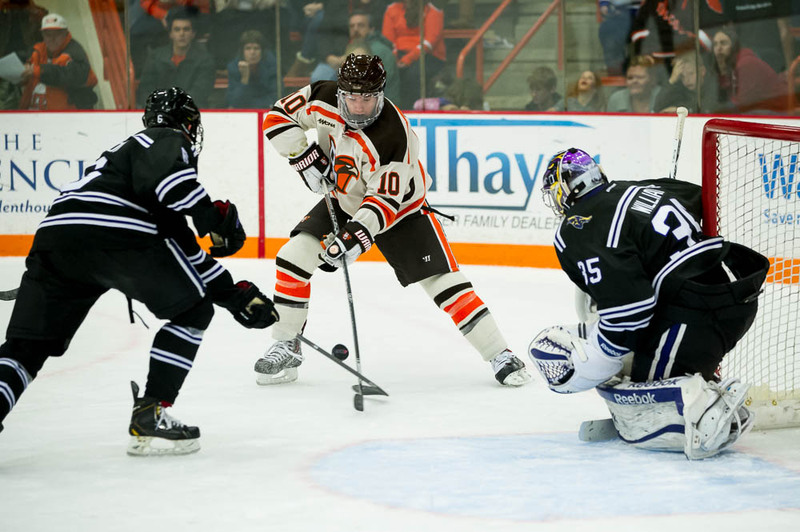 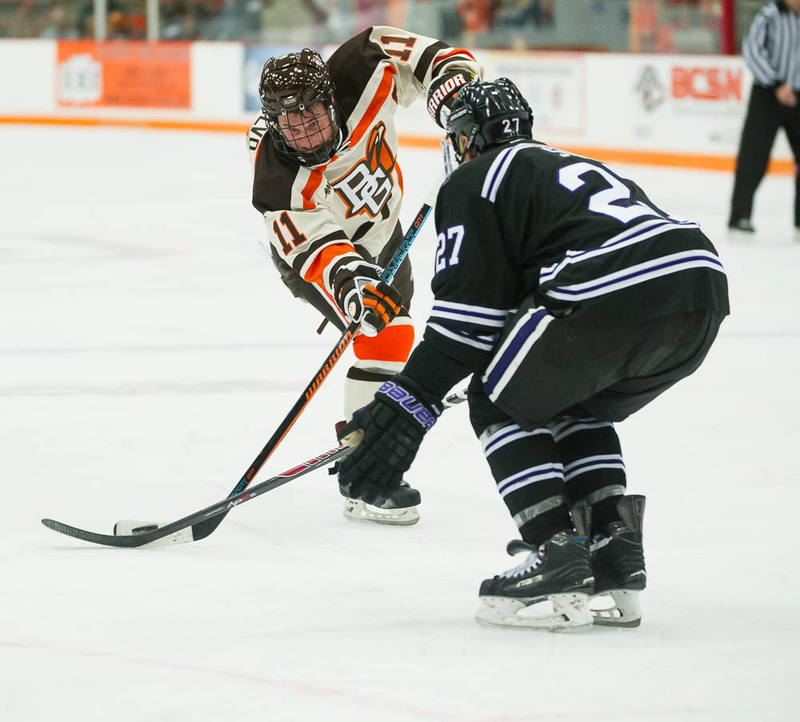 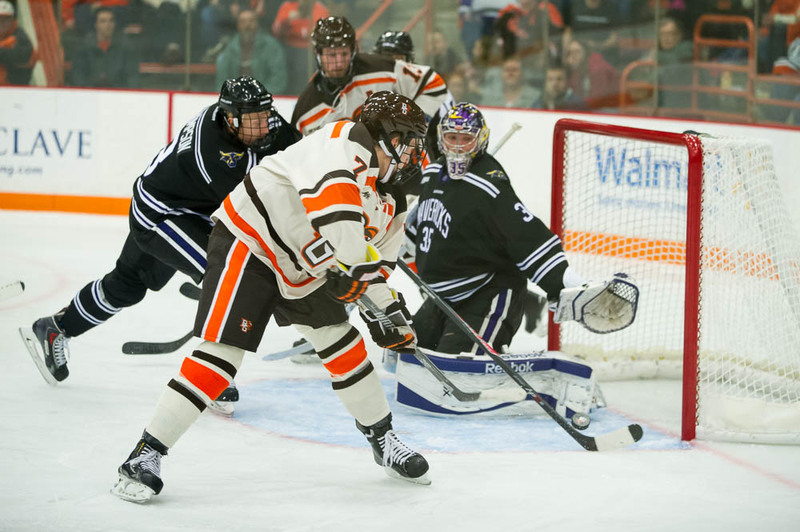 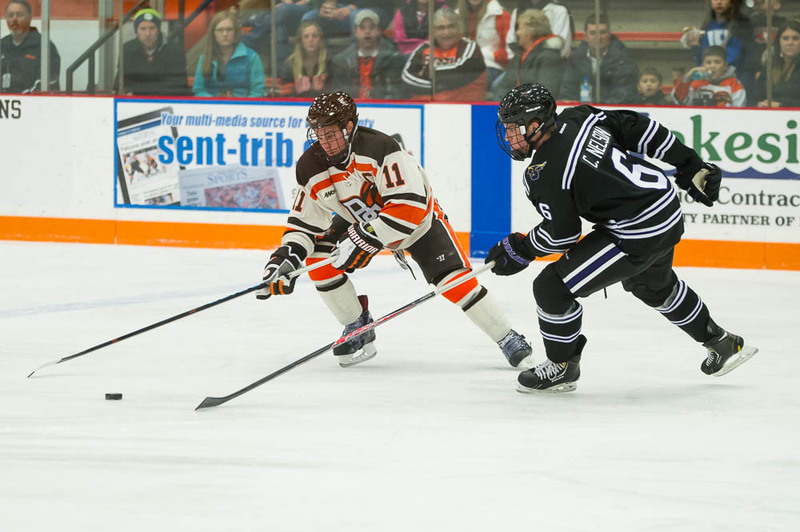 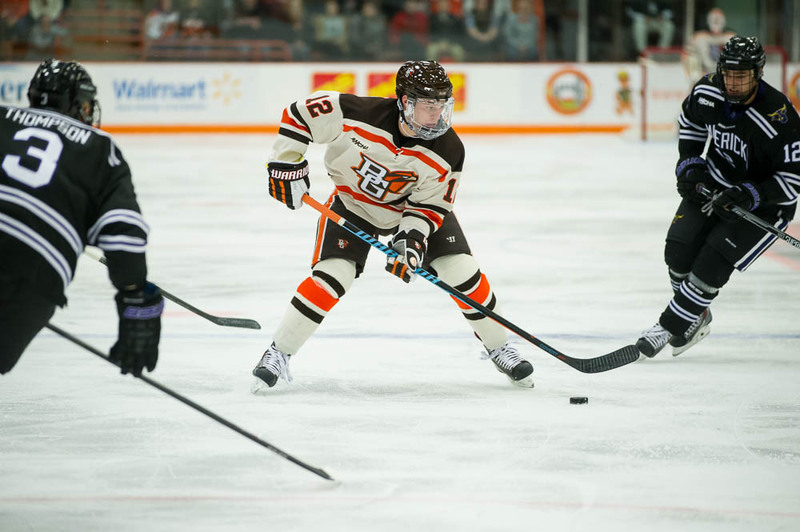 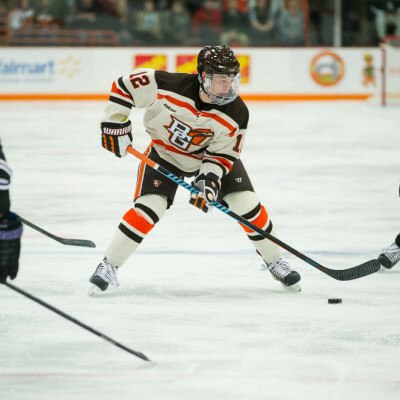 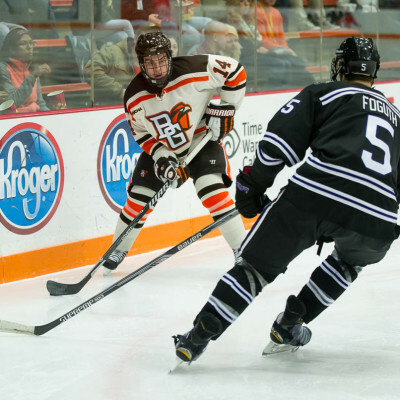 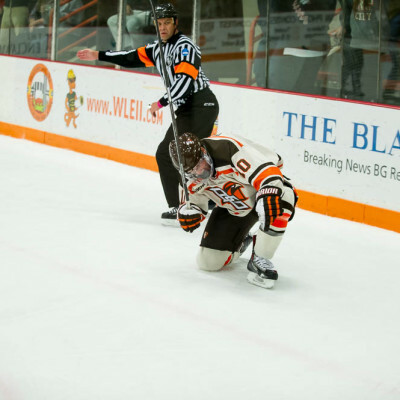 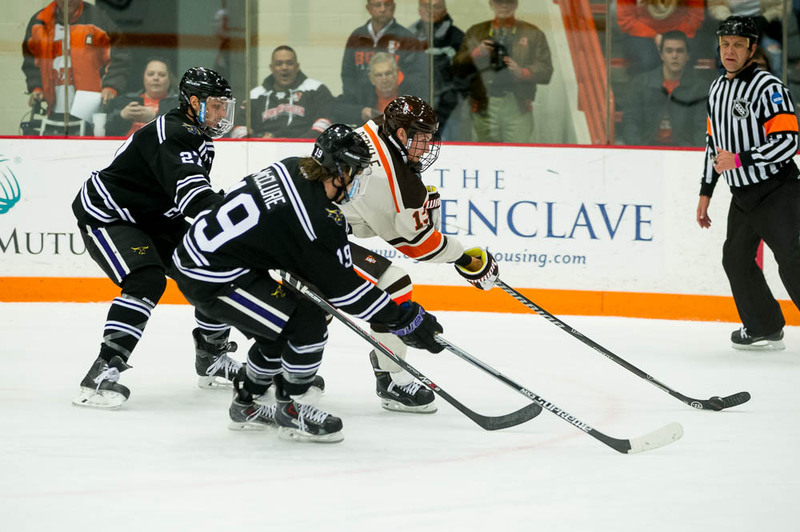 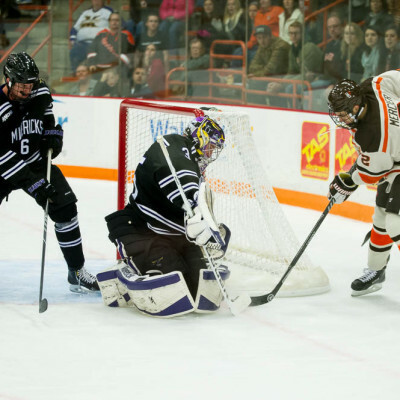 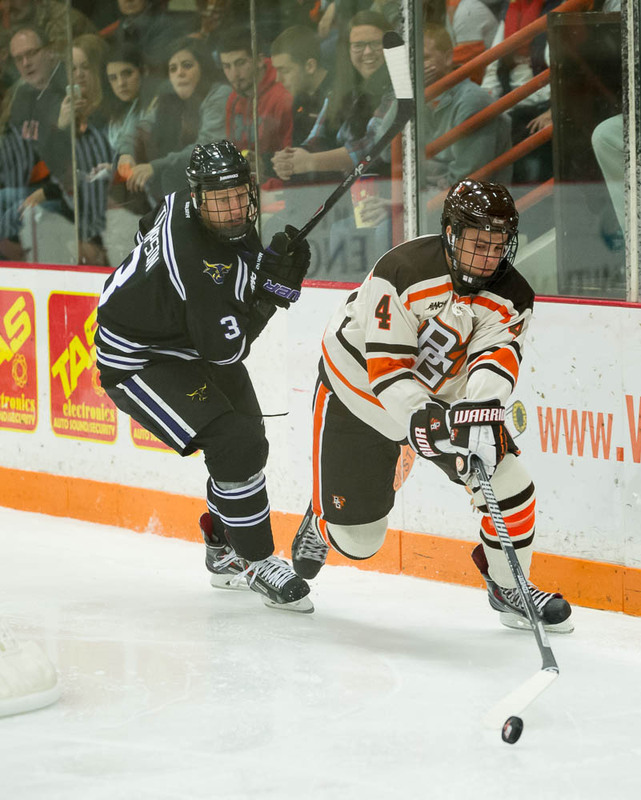 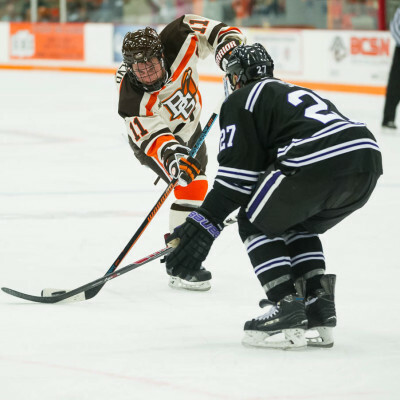 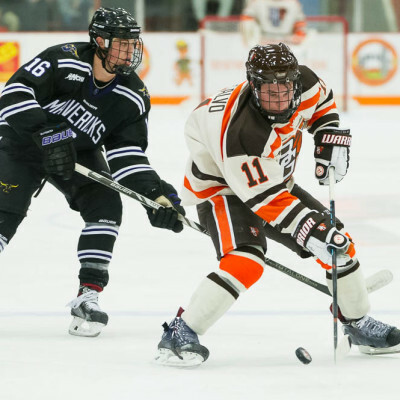 Tommy Burke started in net for the Falcons stopping 25 of 26 shots while Minnesota State’s Stephon Williams started his second game on the weekend and turned aside 23 of 26 attempts. 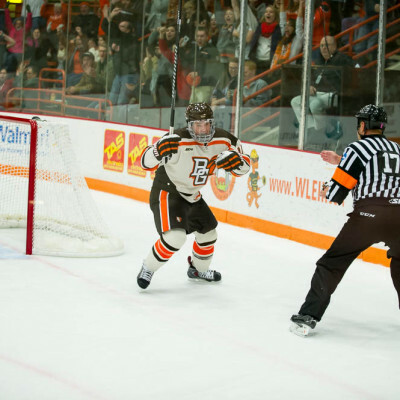 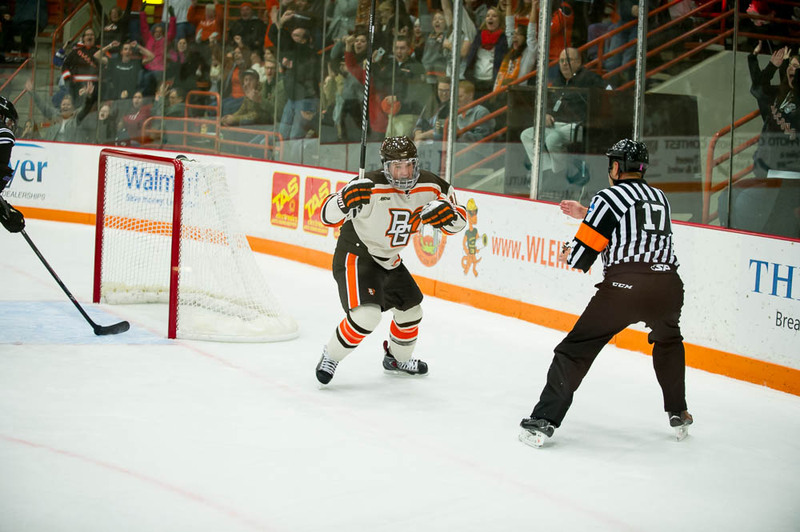 Brett D’Andrea tallied his first collegiate goal on the Falcon’s first shot at 11:27 of the first period. 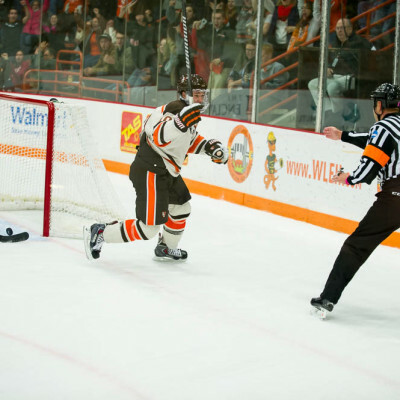 Sean Walker passed across the blue line to Mike Sullivan who wristed a shot onto Williams. 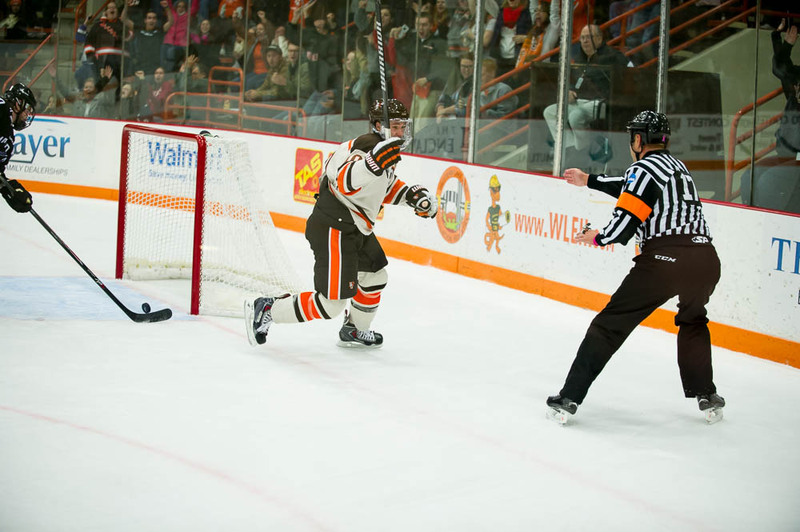 D’Andrea deflected the shot past the junior goal tender. 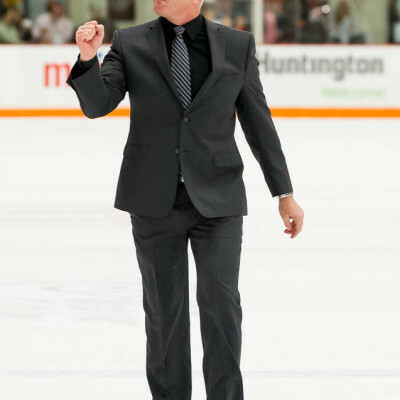 Burke was only challenged five times but stopped every attempt. 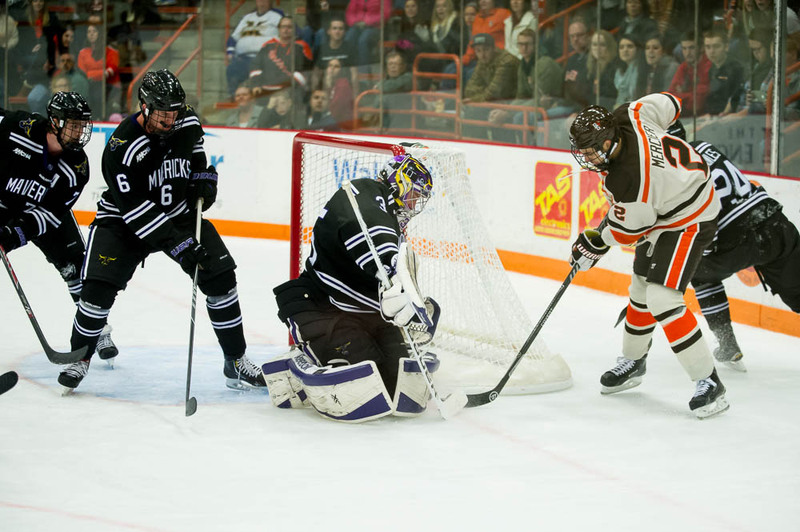 Stephon Williams saved two of the three shots he faced. 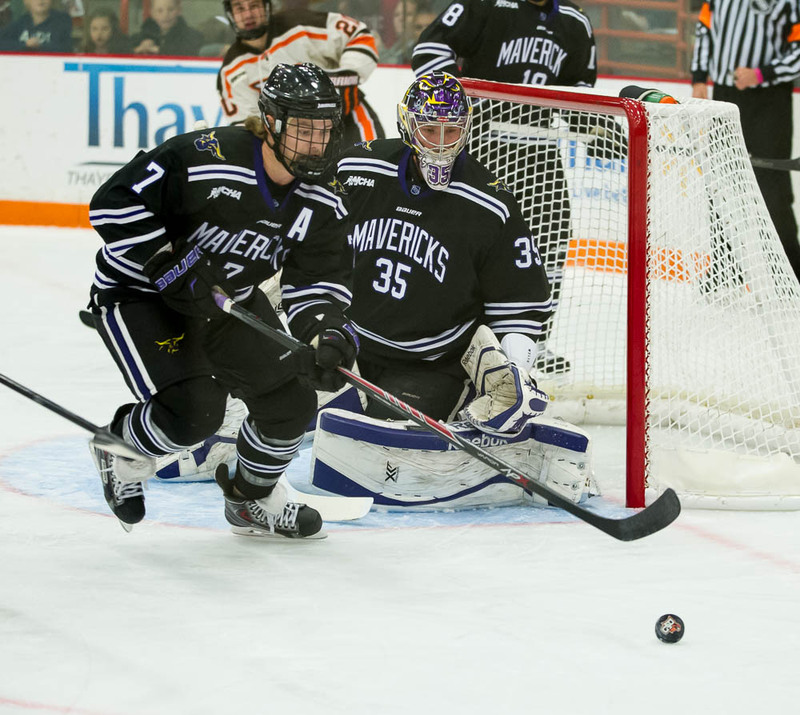 The Mavericks scored their first goal in a controversial play at 12:38. 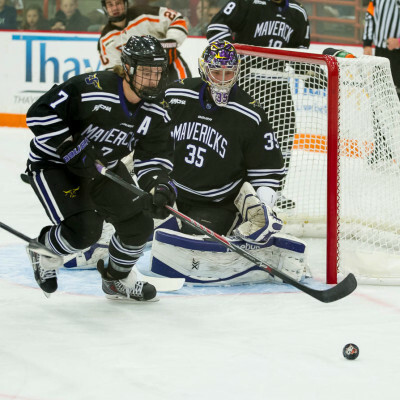 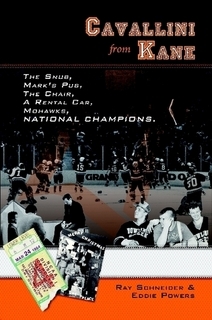 It appeared the Mavericks should have been called for a Too Many Men on the Ice penalties moments before. 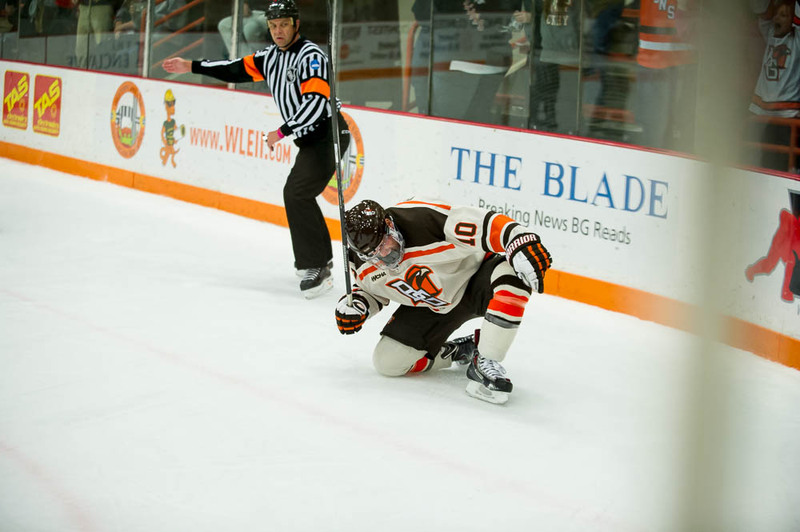 But, the play continued and C.J. 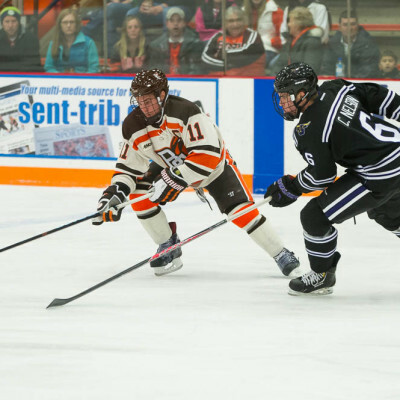 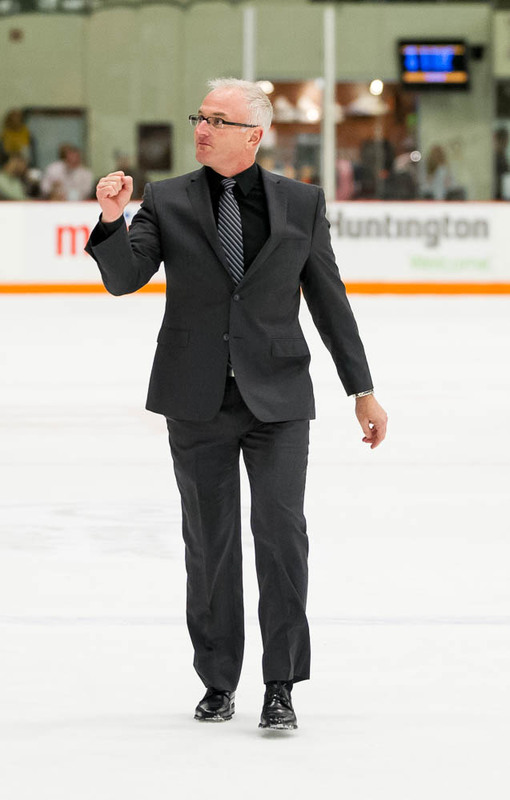 Franklin beat Burke on a wrister from the slot. 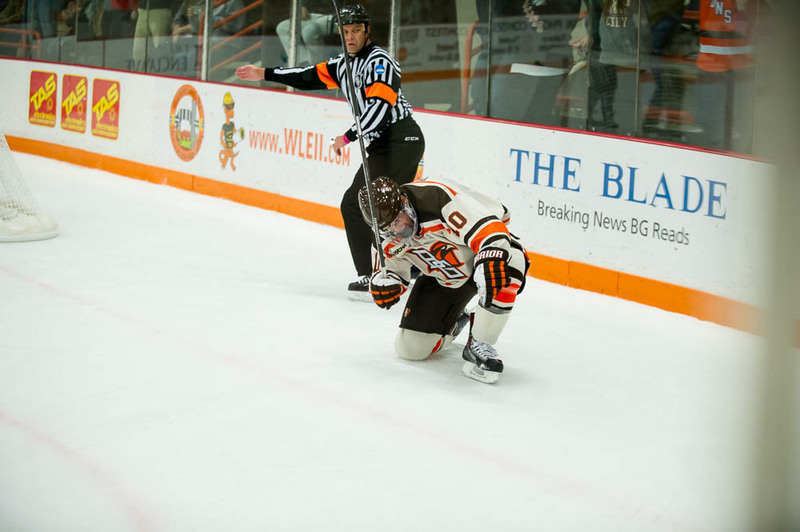 Williams stopped the nine shots he faced in the second while Burke blocked nine of ten. 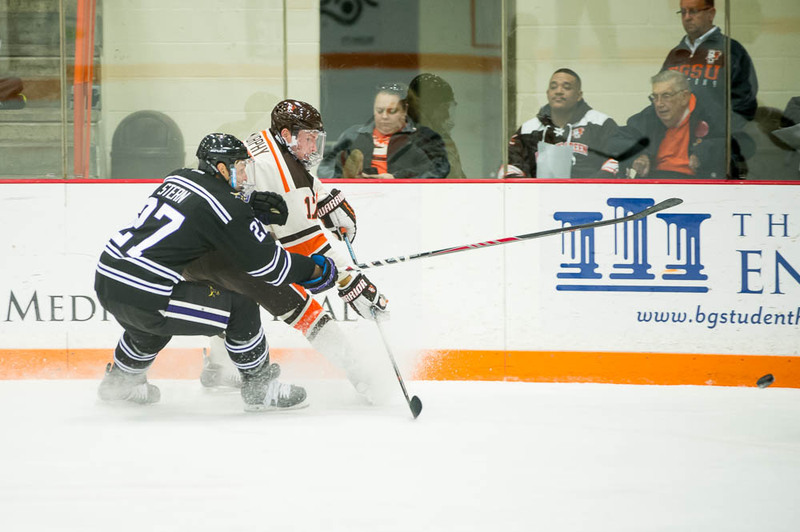 Tyler Spezia notched his fourth goal of the season and third of the weekend at 7:32 of the third. 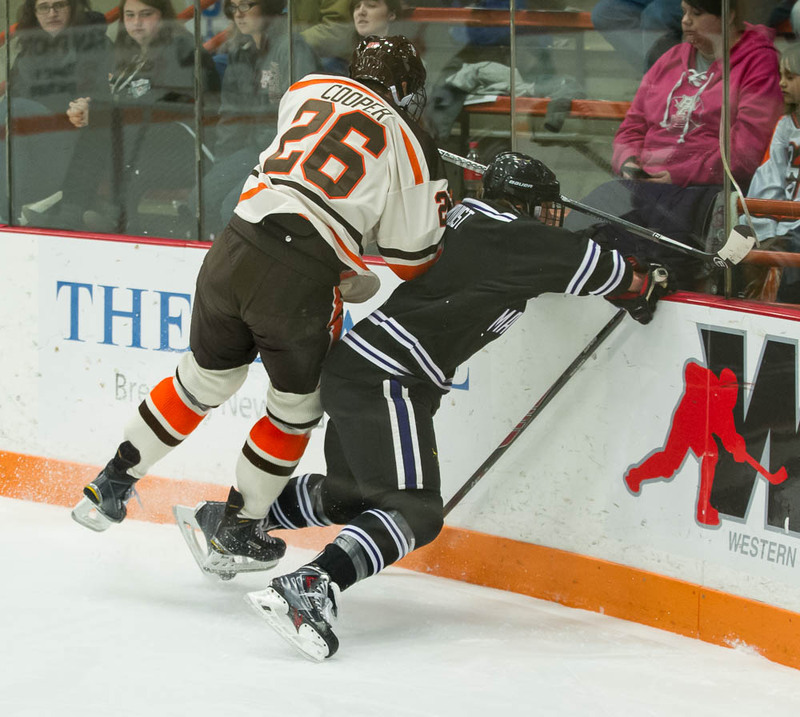 Adam Berkle had an initial shot on Williams that trickled across the crease. 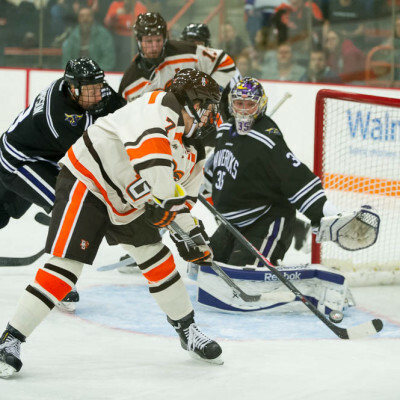 Sepia adjusted himself, spinning around, and backhanded a shot just low to beat Williams. 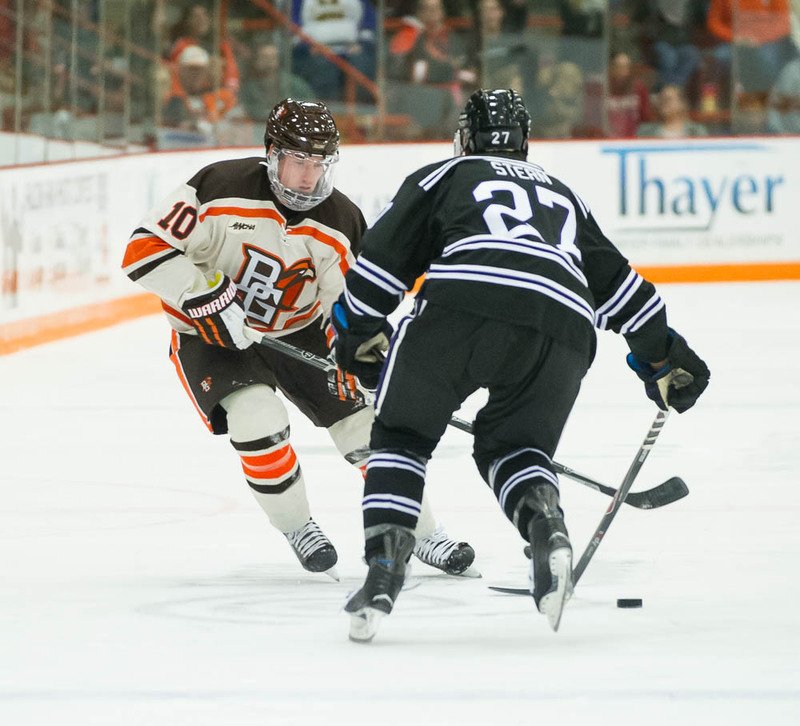 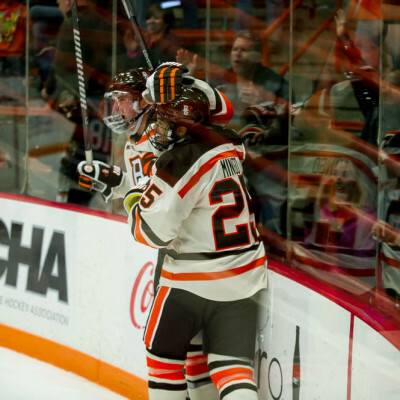 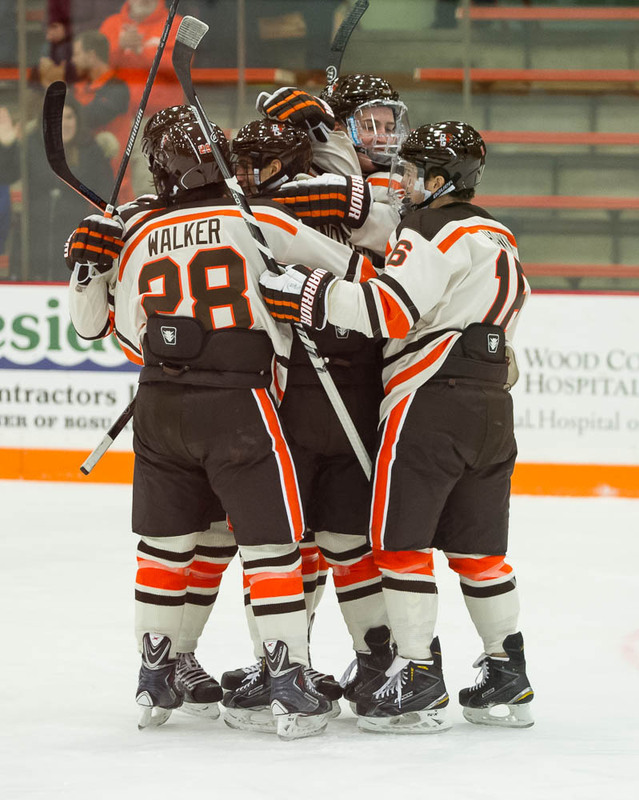 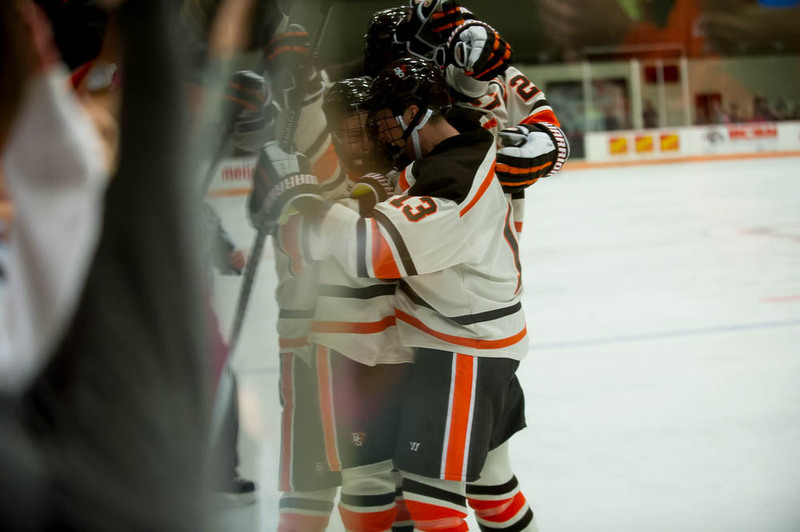 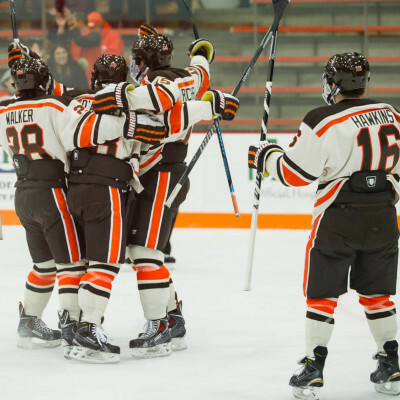 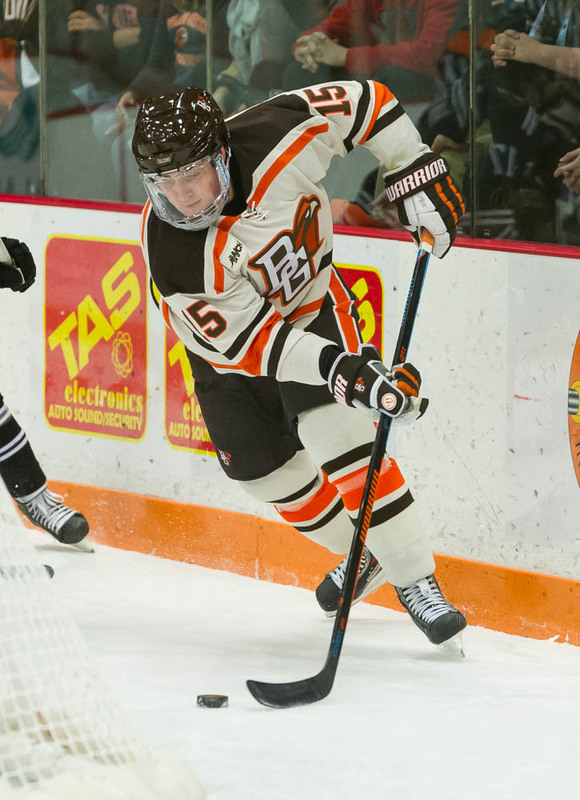 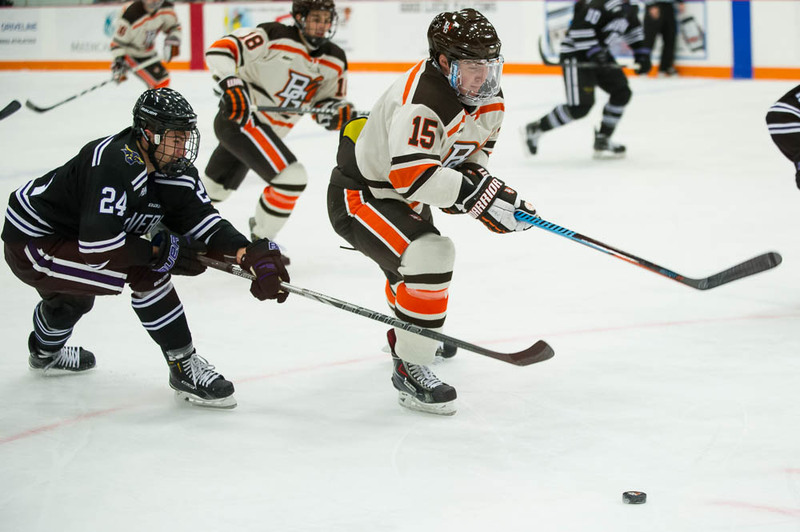 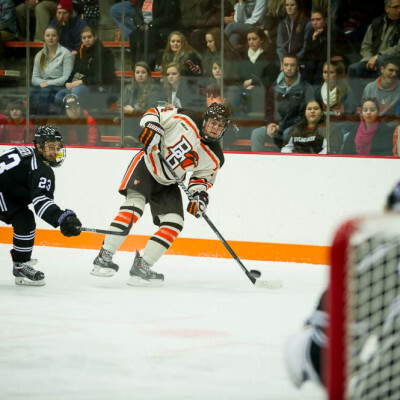 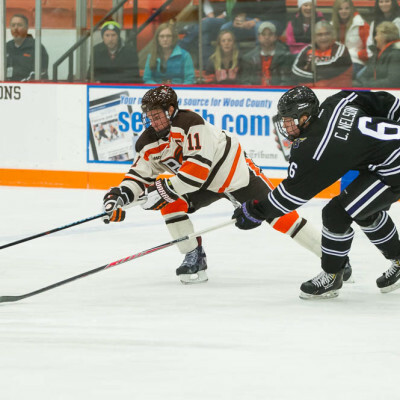 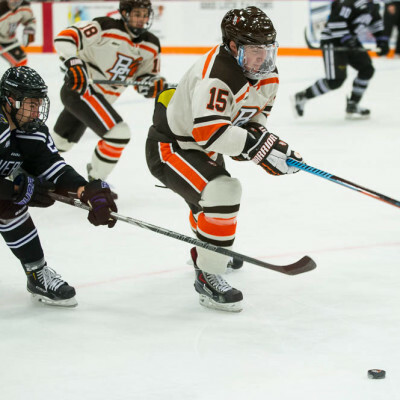 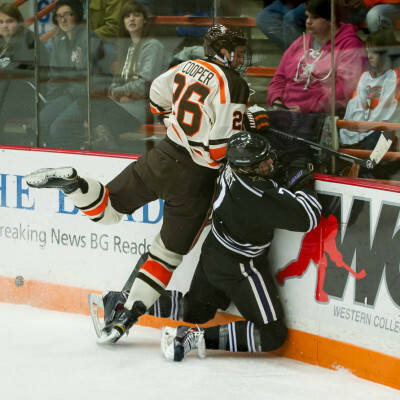 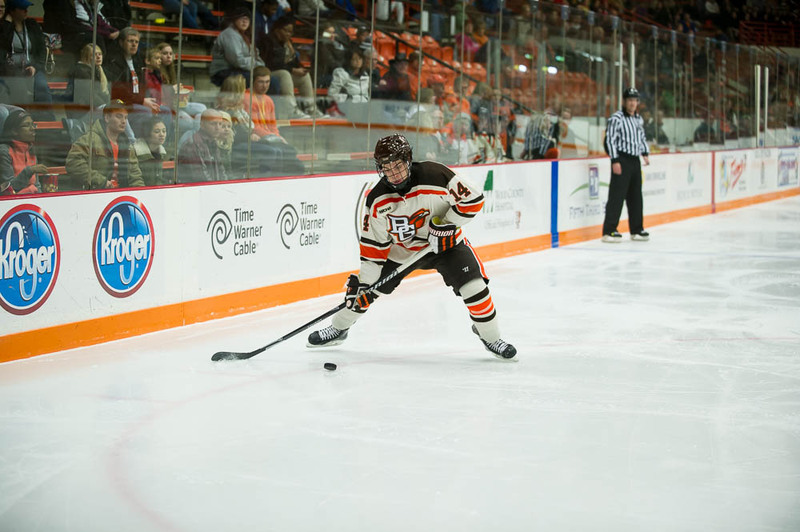 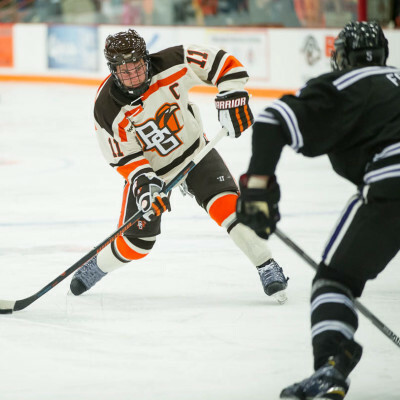 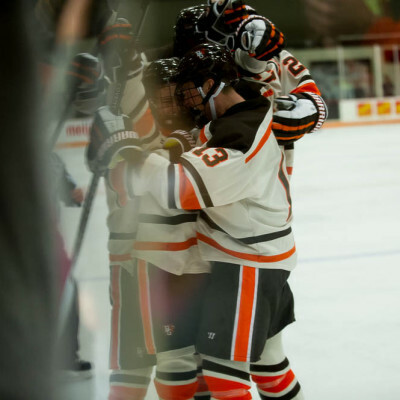 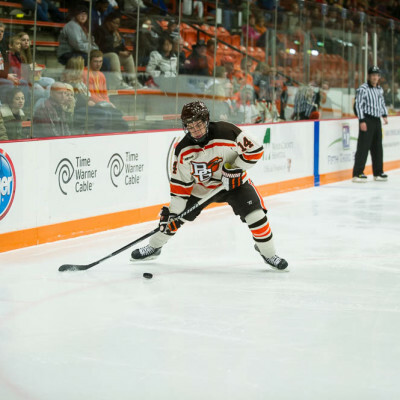 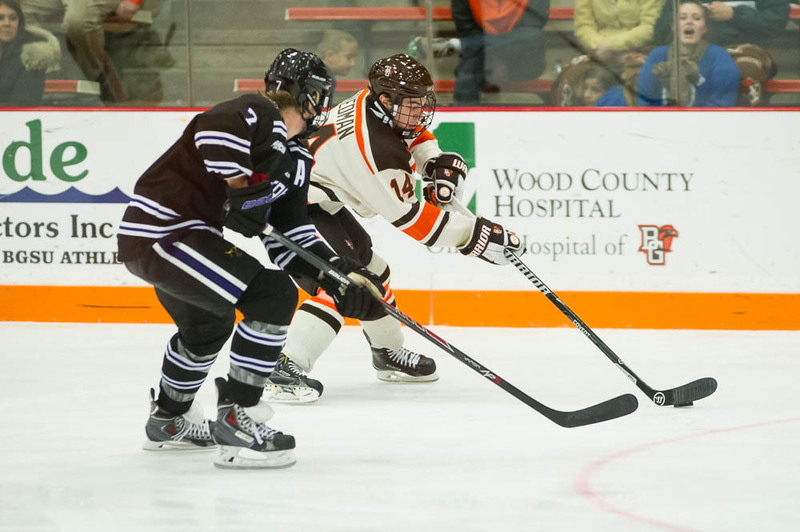 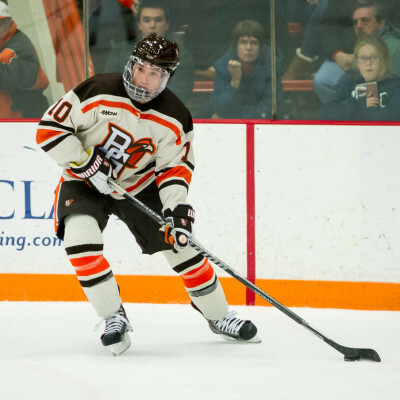 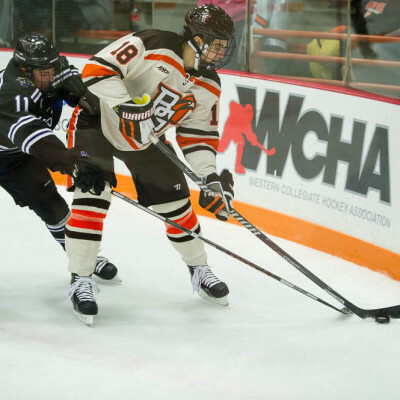 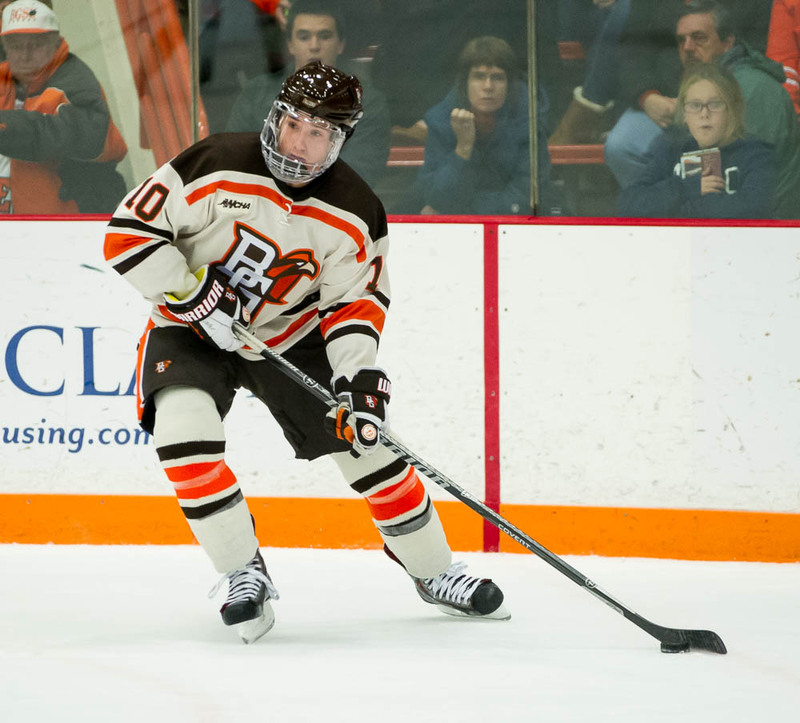 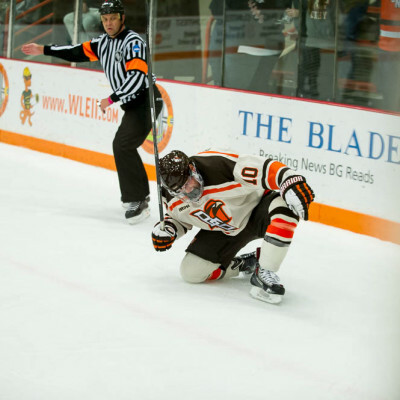 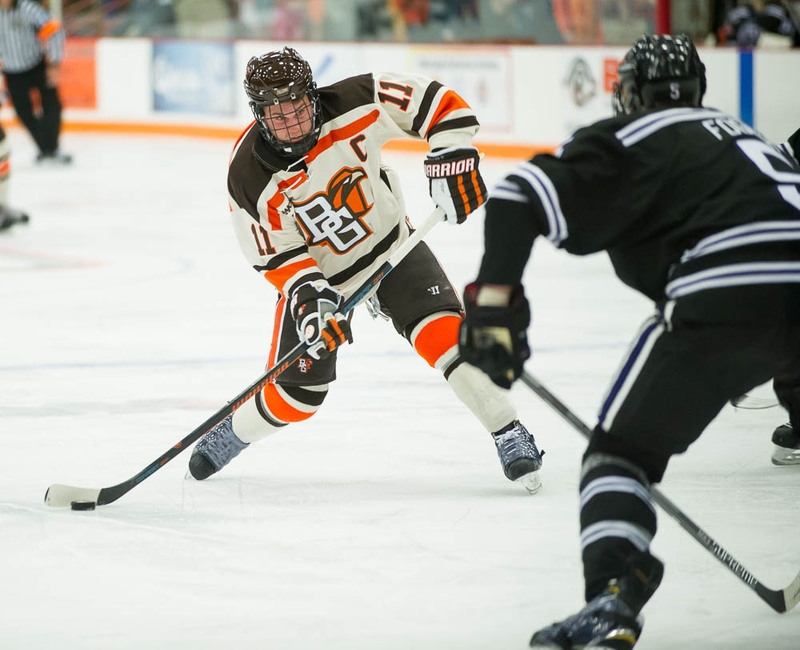 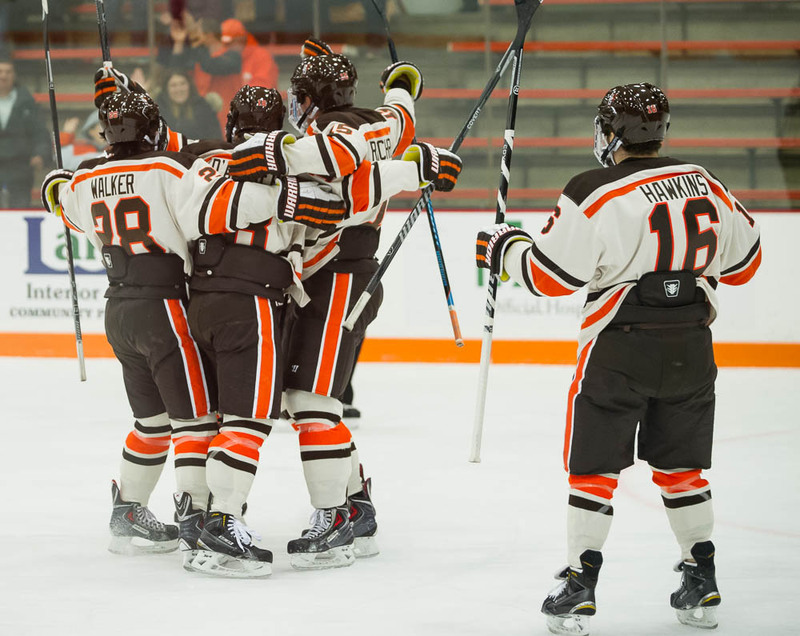 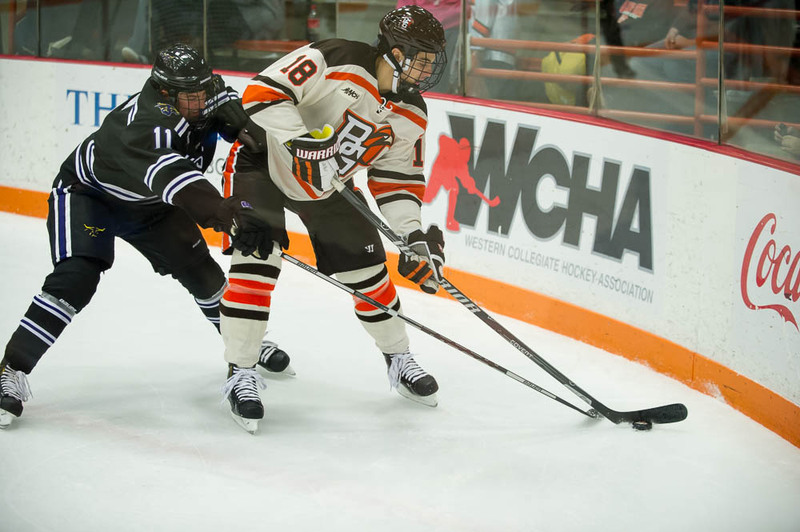 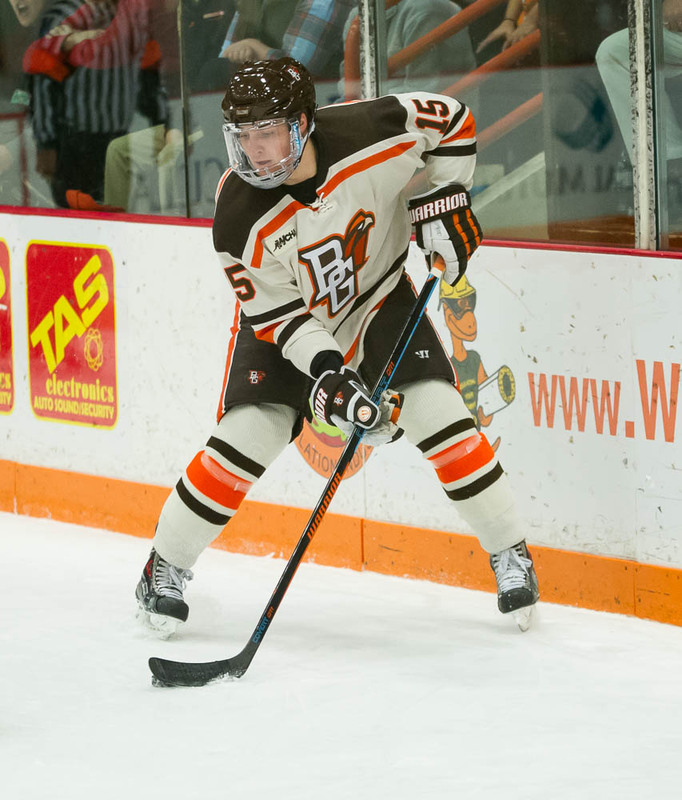 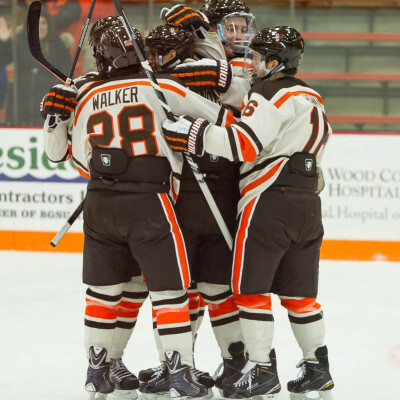 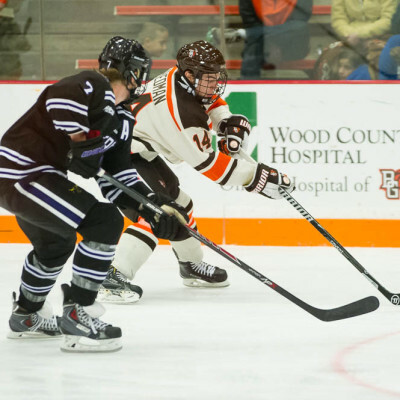 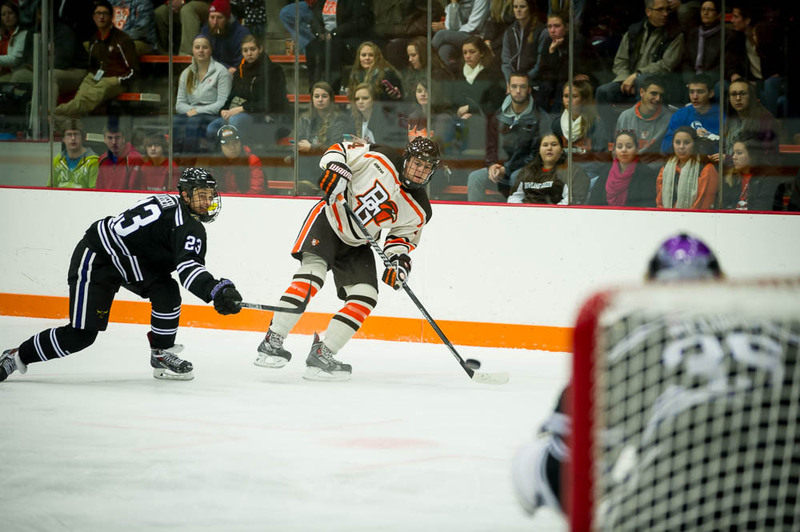 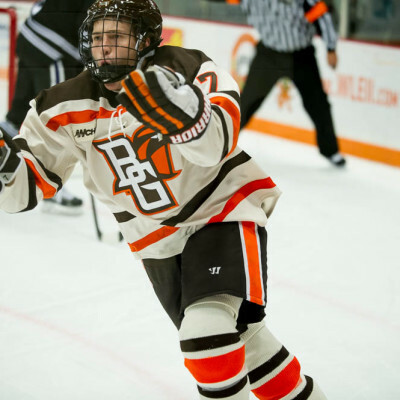 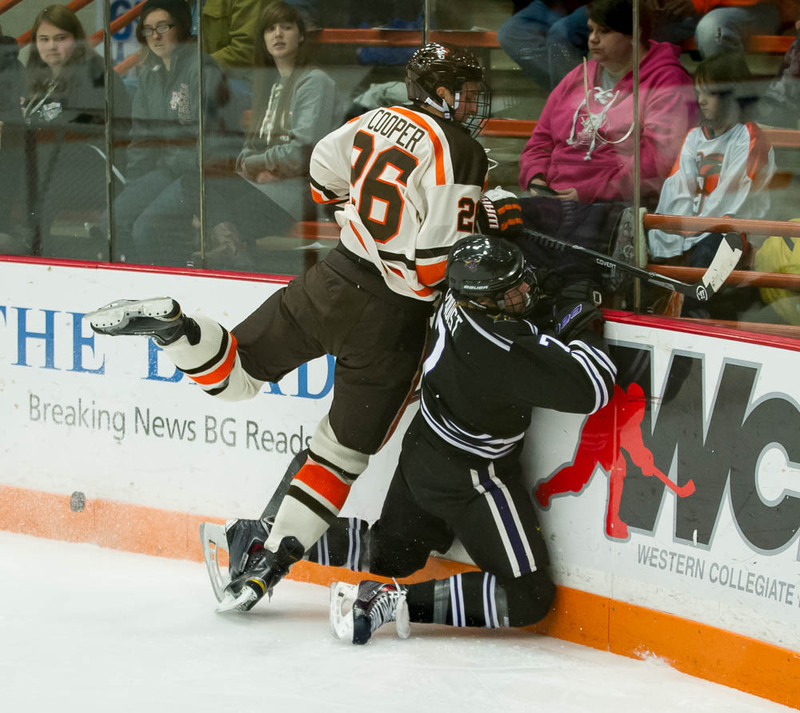 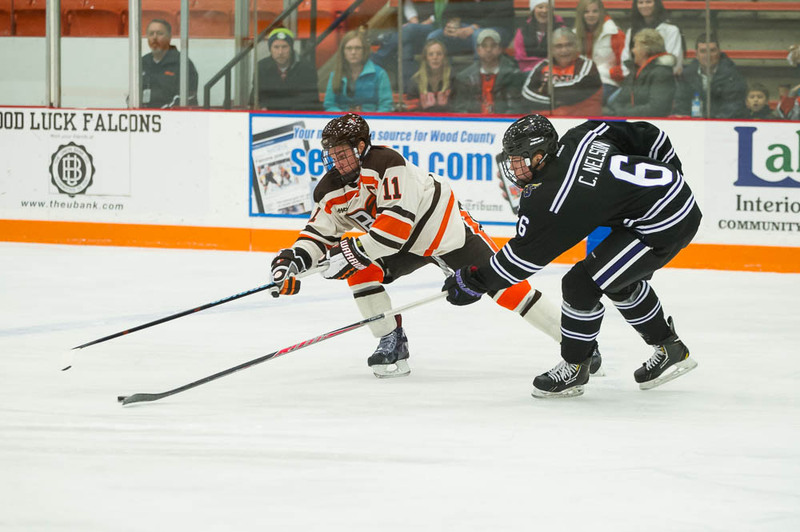 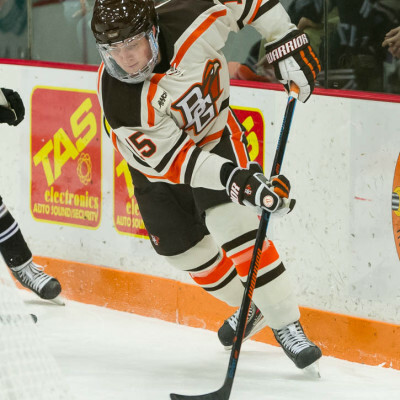 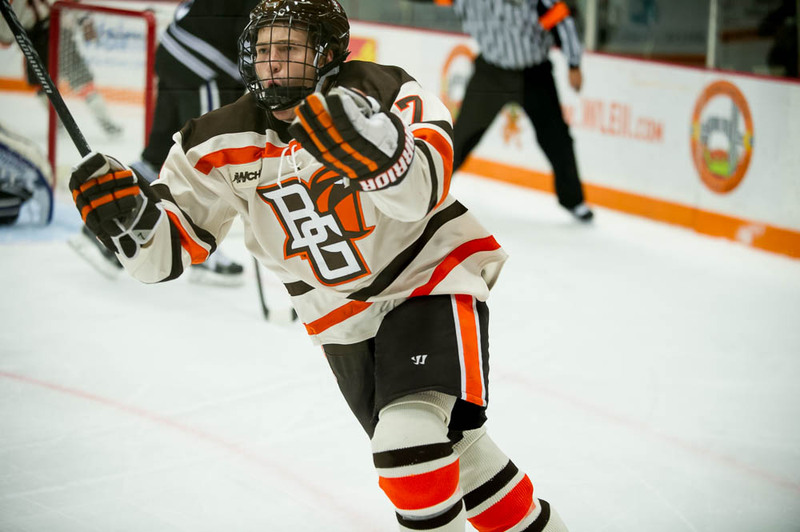 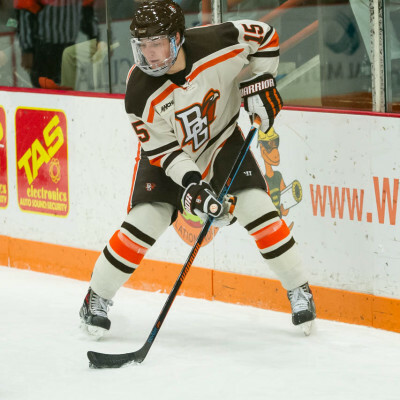 Kevin Dufour tallied his ninth marker of the season at 18:11 as he finished a rebound from Pierre-Luc Mercier’s shot and sealed the win for the Brown and Orange. 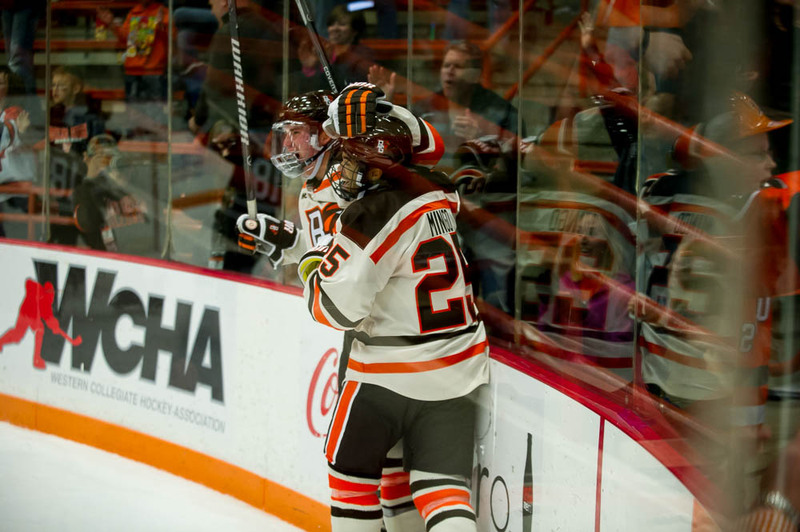 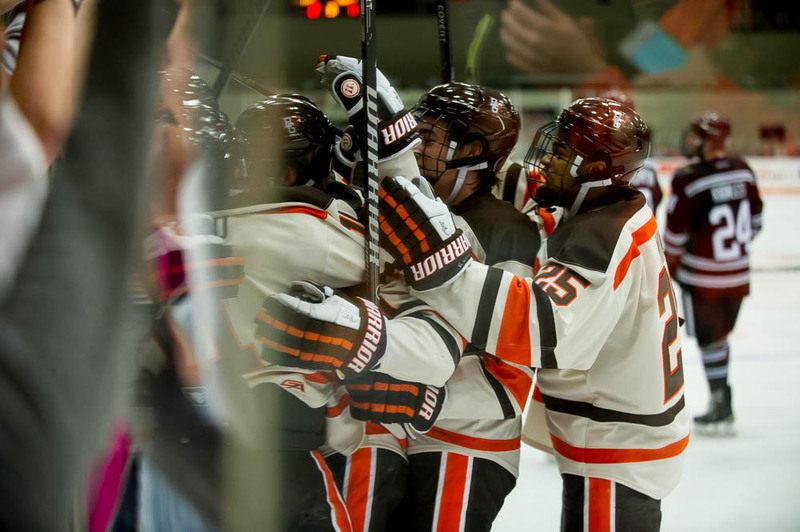 The Falcons move to 5-2-1, 3-1-0 on the season and will travel to Alaska next weekend to face the Nanooks.